"L’ACLC s’inquiète que l’extradition dans cette affaire puisse nuire au test d’extradition, ce qui aboutirait à un processus inéquitable et des injustices envers les personnes soupçonnées de crimes par des états étrangers." "CCLA is concerned that the extradition in this case will undermine the test for extradition and lead to unfair process and injustices for people suspected of crimes by foreign states." We urge you to come to the Ontario Superior Court, located at 161 Elgin Street in Ottawa, on Monday August 30 at 10:00 AM, to show your support for Hassan. On August 30, Hassan’s lawyer will file an abuse of process application. The application will detail how the French investigators and the Crown Attorney have continued to rely on flawed handwriting “evidence”, even after learning that handwriting samples alleged to have been written by Dr. Diab were actually written by someone else. The extradition law and the public’s confidence in the administration of justice rest on trust that the requesting state will only submit reliable evidence to Canadian courts. However, this has not happened in Dr. Diab’s case. The French investigators and the Crown attorney continued to rely on “evidence” that they knew is fatally flawed. Please come to court to show your support for due process and fundamental principles of justice! To find the courtroom number, simply check with the information desk staff or look up Hassan’s name on the sheet posted on each courtroom door. On March 11, 2010, Human Rights Watch submitted a report titled “Concerns and Recommendations on France” to the UN Committee Against Torture. The section of the report condemning France’s use of intelligence as evidence is worth quoting at length. “Human Rights Watch is concerned that French criminal procedures in terrorism cases lack sufficient safeguards to ensure that evidence obtained under torture or prohibited ill-treatment is not used at any stage of proceedings in France. Intelligence material, including information coming from third countries with poor records on torture, is often at the heart of terrorism investigations. Our research indicates that there is insufficient judicial verification of intelligence material in terrorism investigations. In practice, security services provide prosecutors and specialized investigating judges with information they have obtained through intelligence-gathering methodologies, including cooperation with third countries with poor records on torture. Investigating judges may then order any number of investigative steps, including arrests, on the basis of this intelligence, without exercising any control over the legitimacy of the methods used to obtain the information. 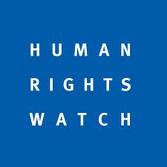 The Human Rights Watch report goes on to cite a recent case in which French authorities arrested and convicted two individuals based on information obtained from another man while he was detained by the Département du Renseignement et de la Sécurité (DRS), Algeria’s infamous secret service agency, which is well-known for torture and other abusive treatment. “The 2005 arrests of individuals allegedly plotting terrorist attacks in Paris are illustrative. These arrests appear to have been based largely on statements allegedly made by a man named M'hamed Benyamina while in custody of the Algerian secret service, the Department for Information and Security (Département du Renseignement et de la Sécurité, DRS). Benyamina, an Algerian residing legally in France, was arrested at an airport in Algeria in September 2005 as he was preparing to return to France. Benyamina told Amnesty International that Algerian officers told him French authorities had requested his arrest. Benyamina was held in illegal, arbitrary DRS custody for at least five months. Benyamina said he did not want to talk about treatment in DRS detention as long as he remains in Algeria for fear of reprisals. The Human Rights Watch report also cites a shocking case in which a French investigating magistrate (juge d’instruction) conspired with the Syrian Military Intelligence (SMI) to extract a false confession from an Algerian man. The SMI is the same intelligence service that tortured Canadian national Maher Arar. At trial, French lawyers for Mr. Arif declared that self-incriminating statements were obtained through torture while in Syrian custody and characterized the charges against their client as “part of an elaborate fiction constructed by the government to target men because of their religious and political beliefs”. An attorney for another client accused with Arif went so far as to accuse French intelligence services of planting evidence to achieve a politically motivated conviction. “The courts appear to have allowed as evidence in some cases statements allegedly made under torture by third persons. Part of the evidence against Arif and his co-defendants, for example, came from a Jordanian man known as Abu Attiya, who was interrogated while in Jordanian custody using questions submitted by a French investigating judge. Abu Attiya told Human Rights Watch of mistreatment he had suffered during the four years he spent in the custody of the Jordanian General Intelligence Department (GID). (He was released in December 2007 without charge). The GID has a record of arbitrary arrest and abusive treatment of prisoners. Defense arguments to exclude Abu Attiya's testimony on the grounds that it was obtained through torture were unsuccessful. We are concerned that there are insufficient safeguards in place to ensure that investigating judges do not rely on evidence obtained in third countries under torture or ill-treatment in their investigations or to ensure the exclusion of such material as evidence in criminal trials of terrorism suspects. The Human Rights Watch report raises very important issues. However, the report’s narrow focus on torture and other forms of ill-treatment obscures a more basic fact: Information obtained by intelligence agencies—whether or not it comes from torture or ill-treatment—is of unknown provenance and is therefore unreliable. Intelligence is collected for fundamentally different purposes and under different rules than evidence. The secretive process by which intelligence is gathered is entirely at odds with the requirements of evidence, due process, the presumption of innocence, and proof of guilt. Political science, international relations, and the daily headlines reinforce the impression that the work of intelligence agencies is driven primarily by the Machiavellian necessities of statecraft rather than by lofty principles of democracy, freedom, and les droits de l'homme. Spectacular intelligence failures like 9/11, Iraq WMDs, and the “extraordinary rendition” of innocents like Maher Arar to torture are only the most obvious examples of the frailties of “intelligence”. Given the inherent unreliability and unfairness of material from undisclosed sources, it is hardly surprising that the Canadian Crown prosecutor has attempted (with success) to sanitize the English translation of the Record of the Case by replacing the word “intelligence” with “information”. At the end of the day, the bald, unsubstantiated, conclusory assertions at the heart of the case against Dr. Diab simply cannot be tested in court. The broader implications of using intelligence as “evidence” in a legal process are that it undermines the integrity of the courts, weakens democracy, and reduces freedom without increasing security. In the Name of Prevention: Insufficient Safeguards in National Security Removals, June 5, 2007. Preempting Justice: Counterterrorism Laws and Procedures in France and France, July 1, 2008. Human Rights Watch Submission to the Leger Commission on the Reform of France’s Criminal Procedure and Criminal Code, April 15, 2009. No Questions Asked: Intelligence Cooperation with Countries that Torture, June 29, 2010.